The audiologist often performs otoscopy, a physical examination of the ear canal (unless you directly come from the physician’s office the same day). Tympanometry is an impedance test that gives us information about the health of your outer and middle ear. 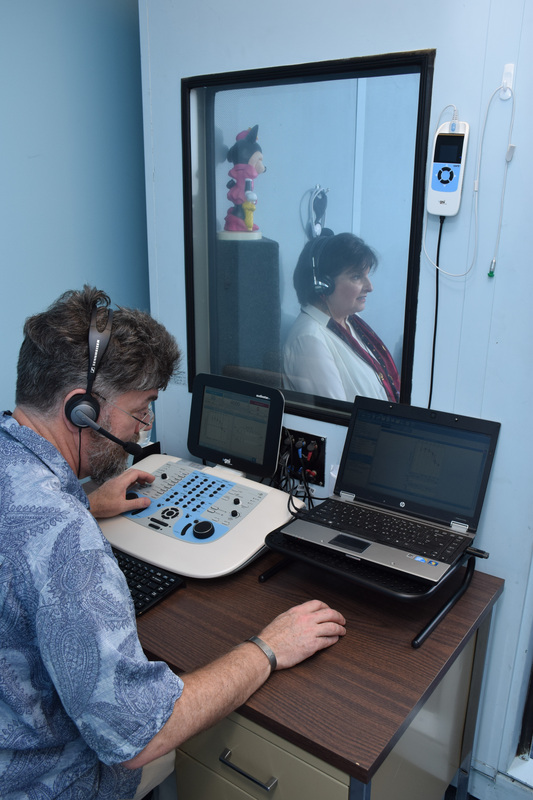 The specific tests done during the evaluation will depend on the patient’s age, personal history and our current information on their hearing status. These various tests will reveal the degree of hearing loss, the type of hearing loss, and the conditions of the ear canal and middle ear. The audiologist will also determine if the hearing loss is conductive (middle or outer ear problem) or sensorineural (inner ear problem or central processing difficulty of the brain). 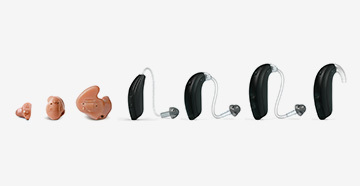 A general diagnostic audiologic evaluations includes pure-tone testing, bone-conduction testing, and speech testing. Further testing is available as needed. Pure-tone air conduction testing determines the quietest tones that a person can detect across a range of different frequencies. Bone conduction testing is similar to pure-tone air conduction testing, but uses a different type of headphone. The results help the specialist determine if the hearing loss is originating from the outer/middle ear or from the inner ear. A speech reception threshold (SRT) test is often used with older children and adults to confirm the results of a pure-tone test. 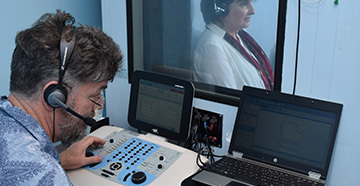 This test determines the lowest level at which the patient can recognize words or speech stimuli 50% of the time. Word Recognition Scores (WRS) tests are used to determine how clear speech is for you when presented at a level that is comfortable for you to hear. This is used as an indicator as to whether or not you have any distortion to your residual hearing. Audiologists are specialists in hearing and balance disorders as well the rehabilitation options for these areas should they be identified as impaired. 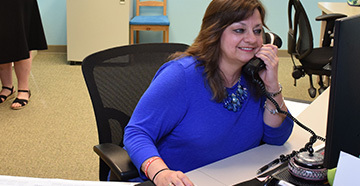 Never hesitate to ask your audiologist for clarification or further information on anything you do not understand.